Young researchers are getting head starts on the fight for a cancer-free world through the Pelotonia Fellowship Program. Through the program, a portion of the funds raised during the annual Pelotonia bike ride support the research projects of fellows at three different levels of training: undergraduate, graduate and postdoctoral. The fellowships are important not only for the research they fund but also the enthusiasm they instill and expand among the cancer fighters of the future. “They are so committed to what they're doing. 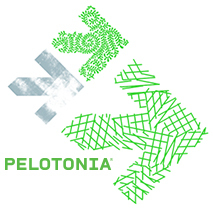 They're straightforward, they're open-minded and they really thrive if they're challenged but supported,” says Dr. Joanna Groden, the chairperson of the Pelotonia Fellowship Committee.